I dropped out of kinder garden, but went on to earn 23 college degrees, including 13 doctorates from universities in the United States and four European countries. I failed high school algebra but later became an algebra teacher. I failed freshman English in college because my professor didn’t like the way I wrote, but went on to publish more than 700 scholarly articles, 59 nonfiction books and 5 novels and novelettes (so far). I failed the first semester of intermediate accounting, and am now ranked #3 in the world (All-Time) among accounting professors by the Social Science Research Network. I had trouble passing my undergraduate philosophy classes, but several studies now rank me #1 in the world for both accounting ethics and business ethics scholarship. I dabbled in various martial arts on and off since high school, quitting several times, and never earning a black belt until my late 60s, yet won world championships in taekwondo, karate, kung-fu, and sparring (and a silver medal in tai-chi) at the age of 70. My career gold medal count is now 205, although I have lost more often than I have won. I spent a significant amount of time being incompetent in my various jobs, especially in the early years. I played lead and rhythm guitar in a rock and roll band as an undergraduate student to help pay my tuition. One day (I think it was a Tuesday), a member of the best band in town approached me, told me their bass player had quit and asked me if I wanted the job, mentioning that their next gig was on Saturday. I accepted, even though I didn’t know anything about playing bass guitar. So as soon as I could, I rushed to the nearest music store and bought a bass guitar and a book on how to play it. By Saturday I knew enough to fake it. They never knew I didn’t know how to play the bass guitar because I learned how to play it in time for the first gig. A few years later, I applied for a job as a bank auditor. The person who interviewed me asked, “You’ve had lots of accounting, haven’t you?” I said YES and got the job. However, at that time, I had taken just three accounting courses and had passed only two of them. But they never found out I didn’t know what I was doing. I managed to fool them by looking at the prior year’s work papers and copying them, updating them with current data where possible, and going to night school to take accounting courses. My next job was as a tax accountant in a major corporation. They hired me because I had 3 years bank audit experience. However, I had never taken a tax class, but they didn’t know that. So I hid my incompetence by looking at the prior year’s tax return, figuring out where the numbers came from, and preparing the current year return using the current numbers. I also went to night school, took 12 or 14 tax classes and earned a master’s degree in taxation. Later in my career, I had an opportunity to assist the Armenian Finance Ministry to convert the country to International Financial Reporting Standards (IFRS). I accepted the offer even though I didn’t know anything about IFRS in those days. The United States doesn’t use IFRS and there is no need to know them if you work in the United States. So I bought a book on IFRS and read it on the plane. By the time I landed in Armenia, I knew more about IFRS than anyone in the Finance Ministry, not because I was so smart, but because no one in the Finance Ministry knew anything at all about them. So what’s the lesson to be learned? Don’t pass up opportunities just because you’re not qualified. Seize the opportunity and get qualified. Don’t be afraid to fail. It doesn’t matter how many times you get knocked down. All that matters is how many times you get up. Success is a process, not a destination. Persistence is the key or at least one of the keys. Another key to success is to like what you’re doing. If you don’t like what you’re doing, do something else. They say that if you like what you’re doing, you never work a day in your life. That pretty much sums up the last 40 years of my career. In the early years, there were a few times when I hated getting up in the morning, but I got up anyway. Now there are days when I can’t wait to get up because I have plans to accomplish a lot of fun things. You can do that, too. 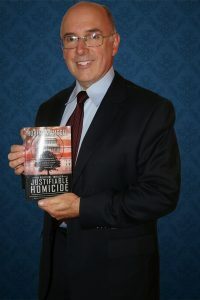 Robert W. McGee is a best-selling author and political pundit who writes political fiction from an individualist perspective. Visit his novelist page here. Before becoming a novelist, he was a professor, attorney, CPA and consultant. 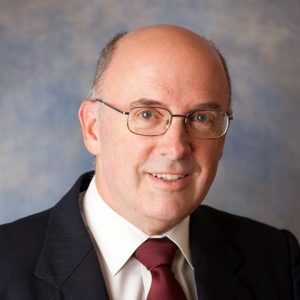 He also published 59 nonfiction books, the latest one is about Corporate Governance in Emerging Economies, and lectured or worked in more than 30 countries. Former clients include United States Agency for International Development, World Bank, African Development Bank and the Central Intelligence Agency. He holds 13 earned doctorates from universities in the United States and four European countries including a PhD in Philosophy, Interdisciplinary Human Studies, from the University of Bradford in 2000. He has won 27 gold medals in Taekwondo National Championship tournaments, 6 first place trophies in Karate National Championship tournaments, as well as 4 gold, 9 silver and 4 bronze medals in World Championships. 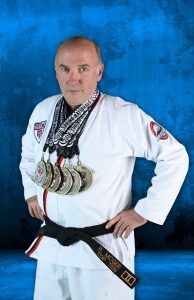 He is world champion in Taekwondo, Kung-Fu and Karate and a silver medalist in Tai Chi, and has been inducted into the United States Martial Arts Hall of Fame.